Cyber threats are growing and businesses of all sizes are at risk. As the dangers increase, smaller firms that are proactive in securing their networks will benefit as much as their larger counterparts. A cyber attack can be expensive, especially if you are a small business, so it's integral to take measures to secure your network now. Securing a home or small office network is easy; just follow a few simple steps. Make sure you update the software on your computers regularly. If you use Windows, this should be simple; you can choose to automatically install 'important' and 'recommended' updates. Important updates improve security and reliability, while recommended updates improve PCs' performance and address non-critical problems. Some experts advise installing important updates only as this stops Windows doing anything to your computer or data automatically other than when big updates are available. Firms must secure everything that attaches to the network, such as smartphones, laptops, servers or USB drives. This involves patching, performing vulnerability assessments, remediation, and enforcing corporate compliance. Meanwhile, installing a firewall protects your computer from hackers and malicious software, which could otherwise gain access through your network or the internet. Firewalls can also prevent the spread of malicious software to other computers in the network. On top of this, you need anti-virus software to protect you from threats that can spread through sources such as email attachments or files downloaded from the internet. The software needs to be kept up-to-date and set to scan the computer regularly. It's important to set up a security key on your wireless network, which turns on encryption, preventing unauthorised users from access. Information that's sent over the network is also encrypted; preventing access to data without your permission. It's also advisable to change the default user name and password on your router. It's simple to do; just check the instruction manual. Your chosen password should be difficult to guess, easy to remember and type, a minimum of eight characters long and should include both numbers and letters. 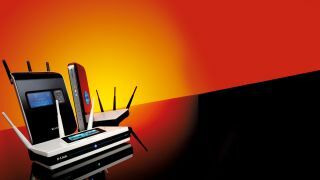 You should position your router carefully; in the centre of the office or home rather than by a window or outside wall. The signal can transmit across a few hundred feet, so placing the router on an edge could see it broadcast outside of your network. You should also update your router's firmware in order to improve its security and performance. This only takes a few minutes and can be done using a few clicks, or manually downloading the firmware and installing it. If your business is slightly larger or requires more complex network security than you can provide yourself, you might want to consider managed security or software-as-a-service. Vendors can often provide a reliable, inexpensive and secure solution for a fixed monthly rate. For most small businesses, securing your network should be a simple process. Once you've taken these basic steps you should be protected from most basic threats.